Find the perfect home to fit your lifestyle. 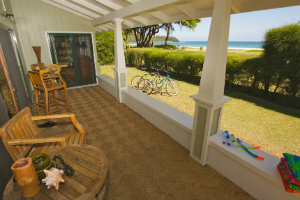 We love and specialize in Oahu beachfront & coastal property. 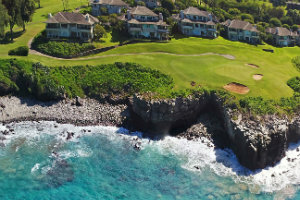 This website is dedicated to making your MLS search for Honolulu County coastal property (the island of Oahu) as effortless and informative as possible. Whether you are interested in an oceanfront home, a marinafront property with a dock, an ocean view condo, a luxury estate, or just a house that you can walk to the water from, you'll find an abundance of real estate resources & search tools on this website. 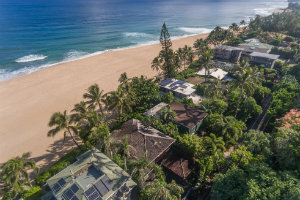 We have extensive experience representing Buyers and Sellers of oceanfront property, and ensure that our clients understand the nuances of the different FEMA flood zones, shoreline survey requirements, and other details that pertain specifically to beachfront & waterfront homes on Oahu. 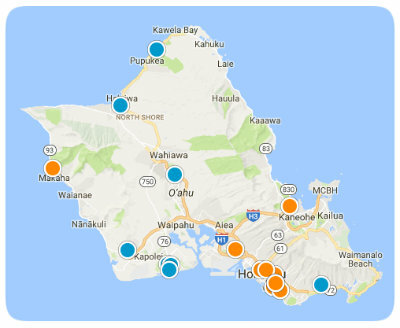 When it comes to real estate for sale on Oahu, it doesn't cost you any more to work with the best, so why search for Hawaii property elsewhere? Oahu is known as the 'gathering place,' and is in our opinion the best island to live for full time residents. There are so many activities and opportunities, yet you can still get away from the hustle and bustle and enjoy the white sand beaches and surf of places like the North Shore, or stroll the world famous beaches of Kailua or Waikiki. Oahu still offers the Hawaiian dream, and central to that is the interaction of the home and the ocean. If you love anything related to the ocean or the beach, and are considering purchasing beachfront or any kind of waterfront property on Oahu, this is the only website you will ever need. Contact us with confidence, as we put our client's needs and privacy above all else. No website can take the place of a professional, hard working, and intelligent realtor, not even this one. We strive for 100% customer satisfaction and have been nominated by our clients for outstanding customer service every year since 2005. Listing courtesy of Terraco Hawaii Real Estate LLC. Listing courtesy of REAL ESTATE AGENCY LLC.